Soil-exchangeable aluminum (Al) has toxic effects on living organisms in acidic soils. Earthworm presence and activity can alter soil pH, which has a significant influence on Al toxicity. However, the effects of earthworms on soil Al toxicity and fractions are still largely unknown. 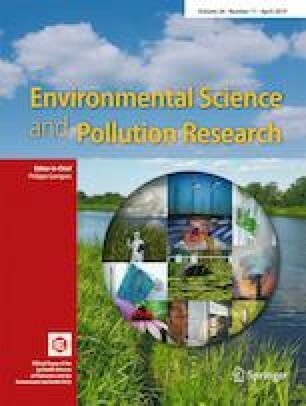 This laboratory study focused on the effects of three earthworm species (endogeics Pontoscolex corethrurus and Amynthas robustus, anecis Amynthas aspergillum) on soil acidification, Al fraction distribution, and base cation release. Three native earthworm species and a soil (latosolic red soil) collected from a botanical garden in South China were incubated under laboratory conditions. After 40 days of incubation, six Al fractions in soil, namely exchangeable (AlEx), weakly organically bound (AlOrw), organically bound (AlOr), amorphous (AlAmo), Al occluded in crystalline iron oxides (AlOxi), and amorphous aluminosilicate and gibbsite (AlAag) fractions, were extracted using a sequential procedure. Soil pH; organic carbon; total nitrogen; total Al (AlTotal); exchangeable K, Na, Ca, Mg contents; and CEC were determined as well. Compared to control soil, pH values increased by 0.79, 0.41, and 0.57 units in casts in the presence of P. corethrurus, A. robustus, and A. aspergillum, and 0.70, 0.32, and 0.50 units in non-ingested soil, respectively. Compared to control soil, the 61.7%, 30.7%, and 36.1% of AlEx contents in casts and 68.5%, 25.9%, and 39.0% of AlEx in non-ingested soil significantly decreased with the addition of P. corethrurus, A. robustus, and A. aspergillum, respectively. Moreover, compared to control soil, the 78.7%, 37.7%, and 40.1% of exchangeable Ca2+ and 12.3%, 24.7%, and 26.8% of exchangeable Mg2+ contents in casts significantly increased with the presence of P. corethrurus, A. robustus, and A. aspergillum, respectively. Soil treated with P. corethrurus had higher soil pH values, exchangeable Ca2+ contents, and lower AlEx than those with A. robustus and A. aspergillum. Results of principal component analyses showed that P. corethrurus, A. robustus, and A. aspergillum casts and non-ingested soil differ for soil pH, Al fractions, and exchangeable base cations release. These results indicate that earthworms, especially P. corethrurus, can reduce soil Al toxicity, increase soil pH, and affect the release of exchangeable base cations. • P. corethrurus decreased 61.7% exchangeable Al content significantly in cast compared to control soil. • P. corethrurus was more effective to reduce soil acidification than A. robustus and A. aspergillum. • Casts had higher exchangeable Ca2+, Mg2+, K+, CEC, TN, and SOC than non-ingested soil for the three earthworms. Thanks to Qijun Yang, Haoyu Wang, and Huan Qian for laboratory assistance. This research was supported by the Natural Science Foundation of China (Grant No. 41201305 and 41601227) and National Key Research and Development Program of China (2016YFD0201301 and 2016YFD0201200).